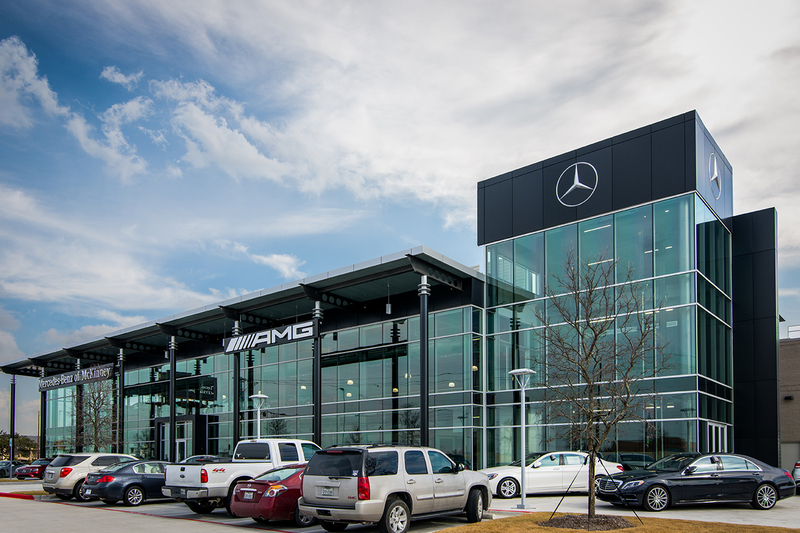 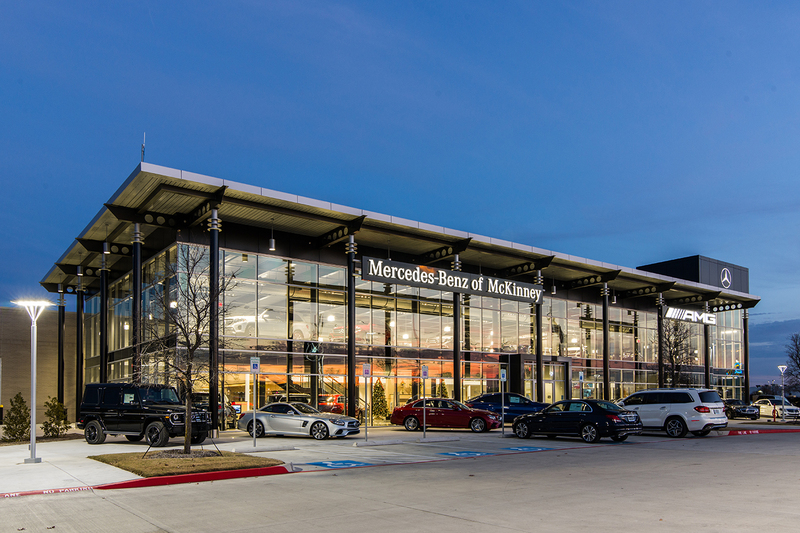 Sonic Automotive Group continues their rapid growth opening Mercedes McKinney along heavily traveled Interstate 75, just north of Dallas, TX. 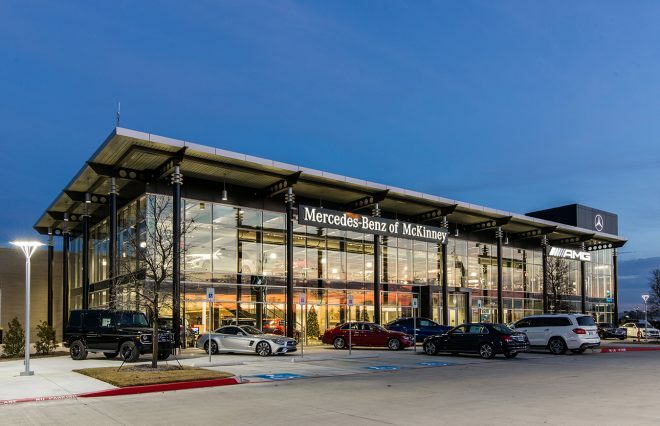 Capitalizing on the high exposure received from the main thoroughfare, the eye-catching two-story structural steel showroom engages customers with brilliant full height glass curtain wall, brick veneer, and aluminum composite metal (ACM) panels. 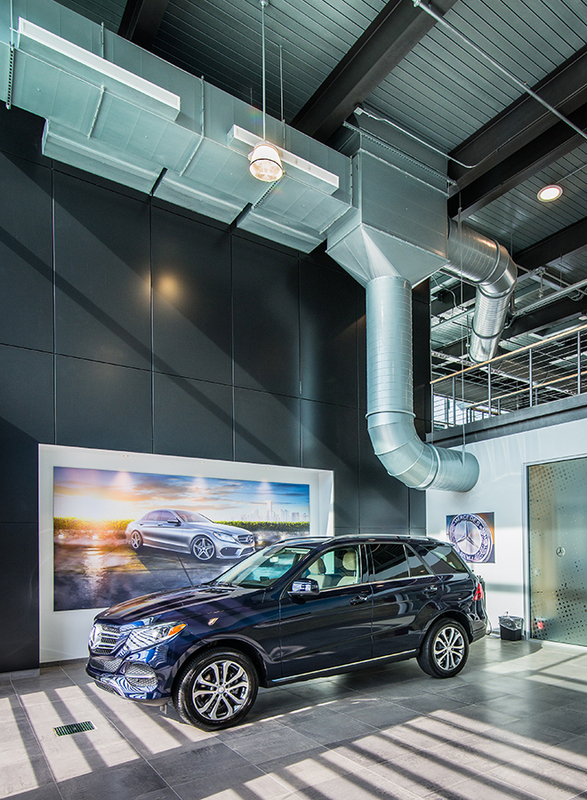 Inside the facility, a three platform vehicle lift displays Mercedes models across the second story of the showroom. 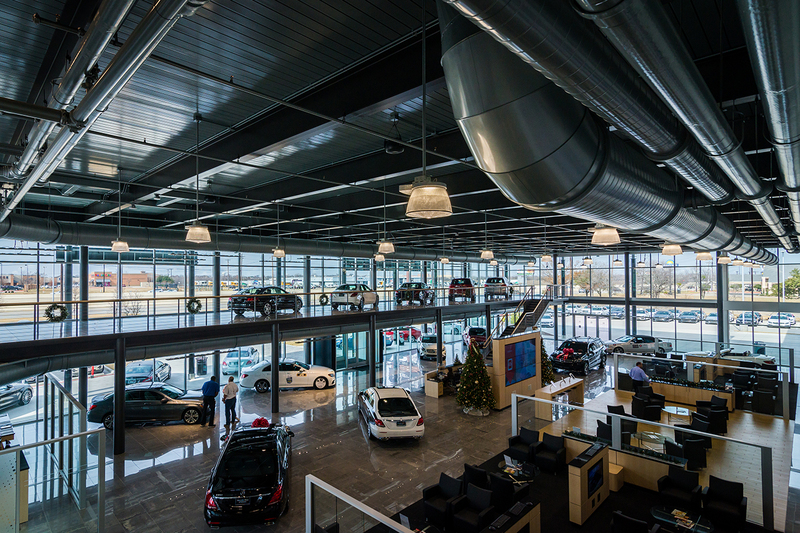 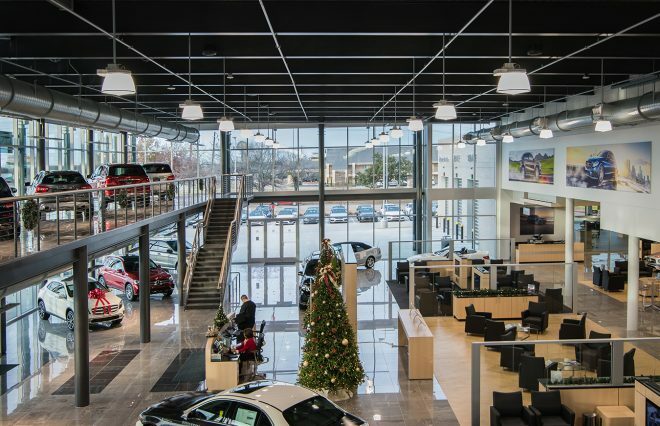 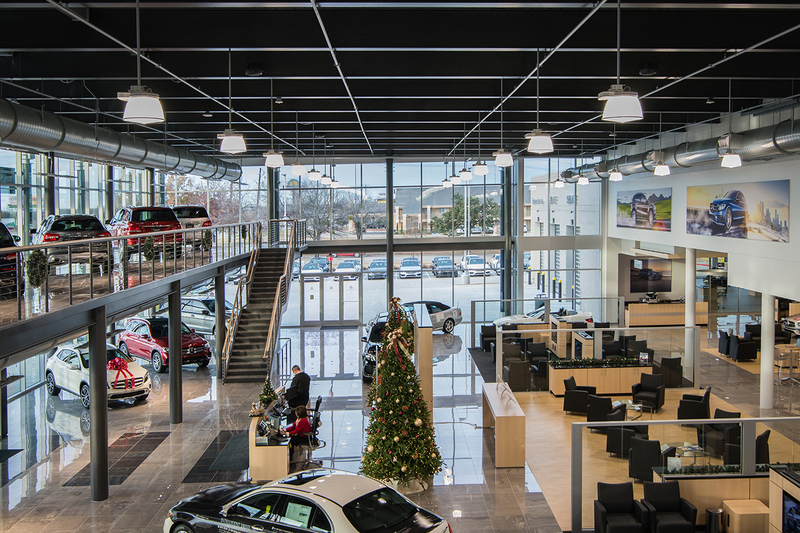 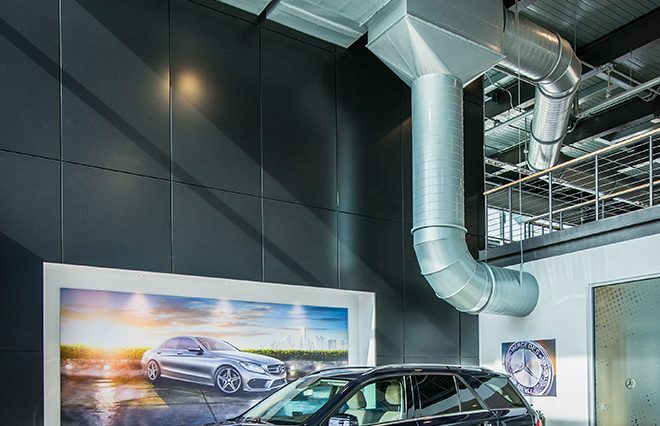 Visible architectural steel elements and spiral ductwork give the dealership an industrial appeal.